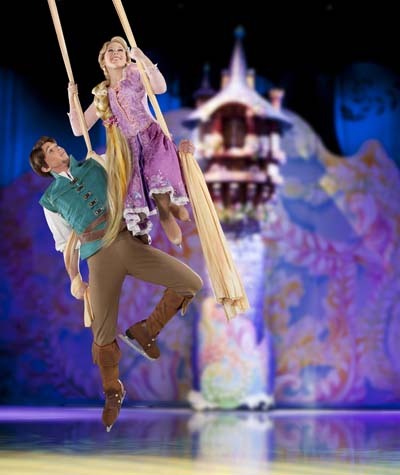 Disney on Ice: Dare to Dream? It’s simple! Refer at least one friend to subscribe to our e-newsletter that we send out on Mondays and Thursdays. When you are done referring a friend(s), leave a comment below and let us know. Be sure that your friend(s) enters your full name in the “Referred by” field so you can get the referral credit for your Disney on Ice ticket giveaway entry. Note: only valid, confirmed NEW subscriptions are eligible for consideration as an entry to this contest. Contest ends on Tuesday, March 13th. Winner will be notified by email. The email address we use to contact you will be the one you have used to leave your comment below. My daughter would love this! I referred a friend!! Thanks! Hope I win these TICKETS!!!!!!!! Just emailed several friends. Fingers crossed…my kids would go nuts for this show! love this magazine. Hope we win these tickets my daughter would freak! Just emailed friends….would love to win!!! Done! My daughter LOVES Rapunzel! We loved NTK magazine. Just referred a friend. We are hoping to win this tickets. Thank you! I just referred a few others. Hope we win, my daughter would enjoy going to something like this!!! Congratulations to Pam D for winning this giveaway. Enjoy the show! My kiddos would LOVE this!! Just referred my friend….love your magazine!